After years of anticipation (okay, more like a year and a bit), Better Call Saul finally hits our screens next week. Here’s everything you need to know about the show in one handy post. Better Call Saul is a spin-off of Breaking Bad, the ridiculously successful drug-based black comedy that ended in 2013. 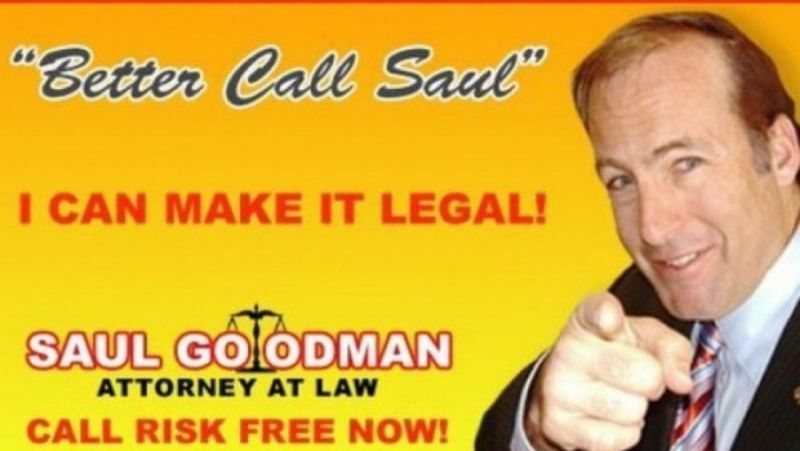 It focuses on the antics of Saul Goodman, a corrupt lawyer who works with the great and good (or should that be terrible and awful?) of the New Mexico criminal underworld. In Breaking Bad, Saul was predominantly a comedy character (and the actor who plays him, Bob Odenkirk, is best known as a comedian). How can someone who picked a name because it sounds like ‘S’all good, man!’ not be funny? However, Odenkirk has said that the show is darker than people might expect. We imagine it’ll balance drama and comedy in the same way Breaking Bad did. So, should I watch Breaking Bad first? Probably, although some critics have said Better Call Saul works well enough on its own (we won’t link to any posts to save you from spoilers) as the show is set 6 years before the events of Breaking Bad. However, the show will apparently include some flash-forwards to post-Breaking Bad events so there could well be some spoilers. We’d play it safe and watch Breaking Bad first. Will any of the other Breaking Bad characters be in it? Yes, although everyone’s favourite cold-blooded assassin/best grandpa in the world Mike Ehrmantraut is the only confirmed character (apart from Saul). Given Saul’s past, we wouldn’t be surprised to see the likes of Tuco, Hector Salamanca and Gustavo Fring making an appearance at some point though. We’re hoping the ever-lovable Huell pops up too. One character who almost certainly won’t be appearing, however, is Walter White as he’s still a humble high school teacher during the events of Better Call Saul. Jesse Pinkman may appear (Aaron Paul was in negotiations to make an appearance) but we wouldn’t get our hopes up too much. What are critics saying about it? Appropriately, it’s s’all good, man! An early review from Esquire suggested the show was even better than Breaking Bad, although we’re tempted to suggest that might be an over-excitable spur-of-the-moment quote than a well-considered judgement. The AV Club suggests that the show is still in the shadow of Breaking Bad somewhat but shows a lot of promise. Monday from 7am on Netflix. A DVD release will probably follow after the end of the series for non-Netflixxers.